As I’ve already mentioned in my travel tips for Iceland post, my mother is Icelandic and I have been to Iceland at least once a year since I was a baby. One of the things that I look forward to the most whenever I go back to Iceland is the food. There are so many delicious Icelandic treats that you just can’t find in London! It would be a shame for you to miss out on the best food that Iceland has to offer when you visit, so I’ve put together this mini culinary guide which will hopefully help you to know what to look out for in shops and on restaurant menus. The best food will of course always be homemade, but I’ve included some popular addresses for you to discover. 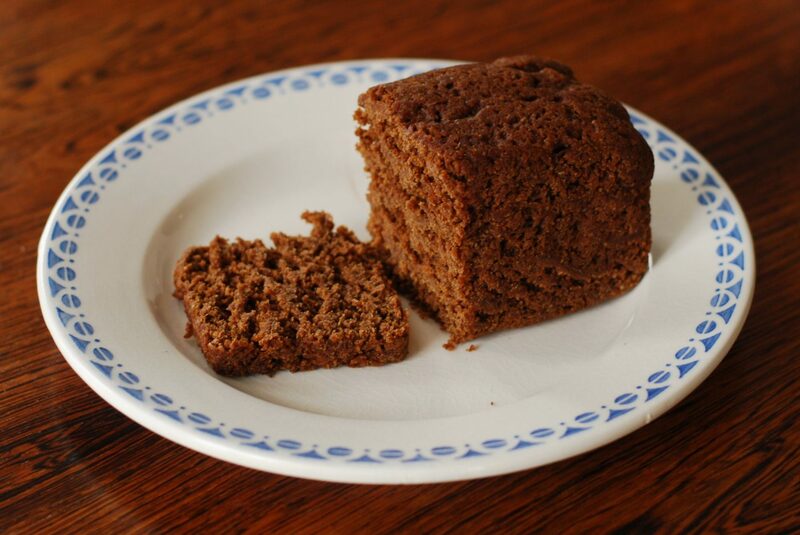 Rúgbrauð is Icelandic rye bread. It’s a bit dense but soft, moist, and slightly sweet, and it’s delicious with a slice of cheese or just some good butter. Traditionally, it was made by using geothermal heat from the ground near hot springs. How cool is that! Where to find it: any supermarket like Bónus or Hagkaup, or even at a food shop in Keflavik airport. Laugarvatn Fontana geothermal baths offer a ‘Rye Bread Experience‘ which seems like a great way to try Rúgbrauð made the old-fashioned way. So technically what Icelanders call lobster is actually langoustine but it tastes just as good as real lobster, if not even better! 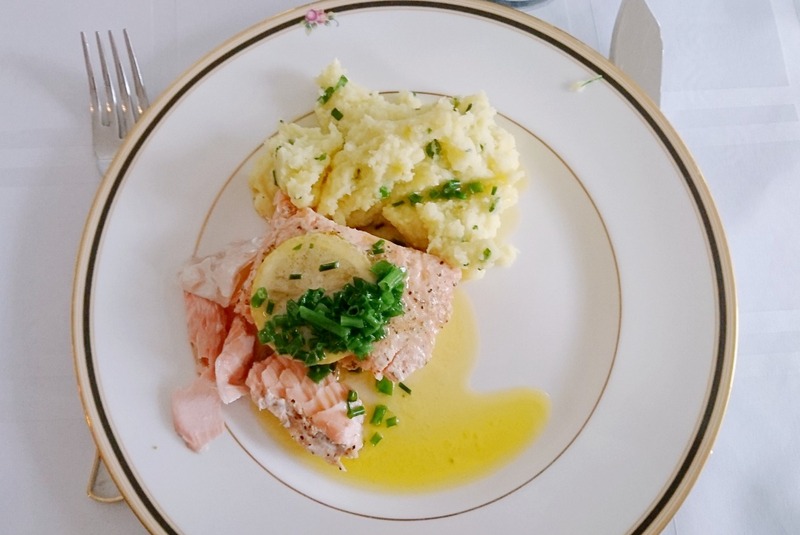 Cooked with a bit of lemon and parsley and a whole lot of butter, it is served with potatoes – Icelanders love potatoes – and bread. Every time I go to Iceland, lobster is one of the things I look forward to eating the most. Just be prepared for a bit of messy eating with your fingers! Icelandic lobster soup is also so delicious! 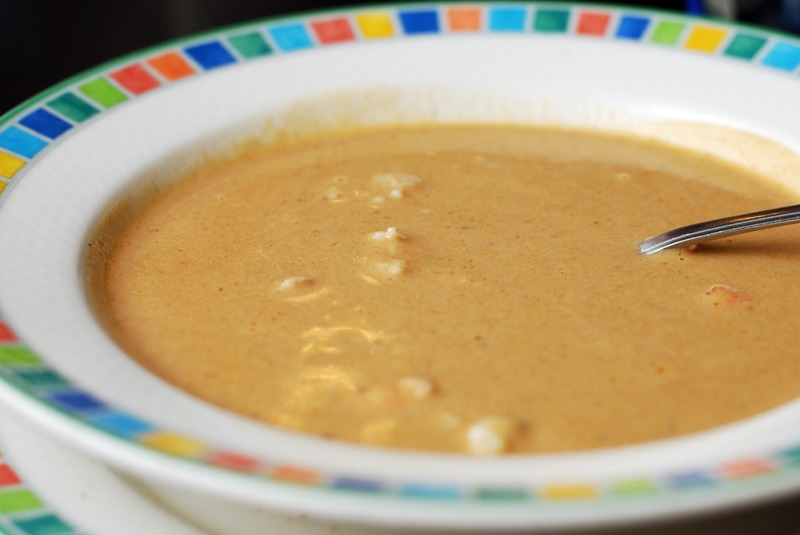 It’s similar to French lobster bisque: very creamy, and very tasty. Don’t forget to mop up every last bit with a piece of bread. Where to have them: Fjöruborðið, a short drive outside of Reykjavik, is THE place for lobster. 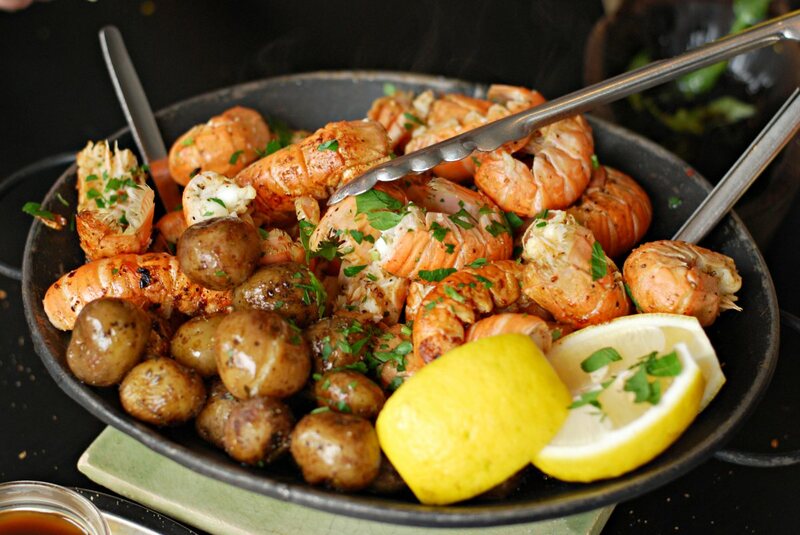 In the centre of town, try Torfan, Saegreifinn (The Sea Baron) or Lobster and Stuff by the harbour. Iceland has the craziest cakes. Seriously! Who would have guessed that Daim bar cake would become a classic? My favourite is meringue cake (pictured) with a layer of light and fluffy whipped cream in the middle and a drizzle of caramel on top. Skyr cheesecake also seems to be everywhere nowadays. 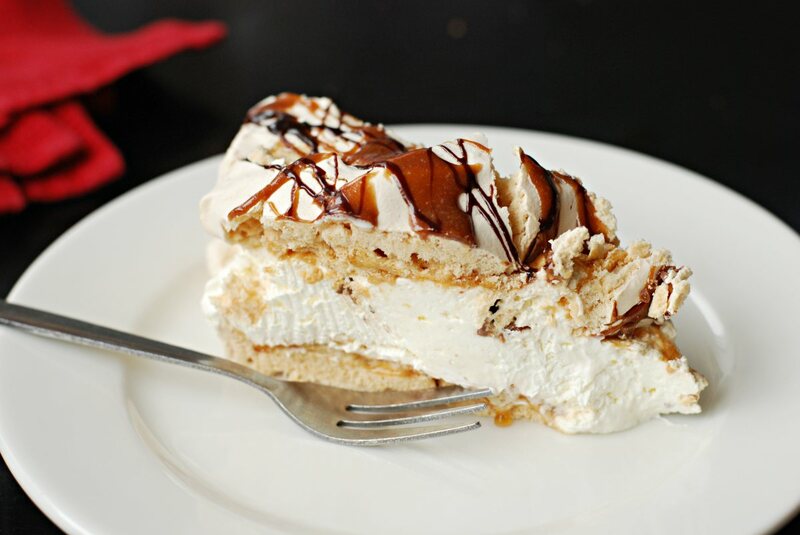 Where to eat it: seafood restaurant Fjöruborðið makes a great meringue cake, or Kaffitar and various other cafés and restaurants. The bigger the better! 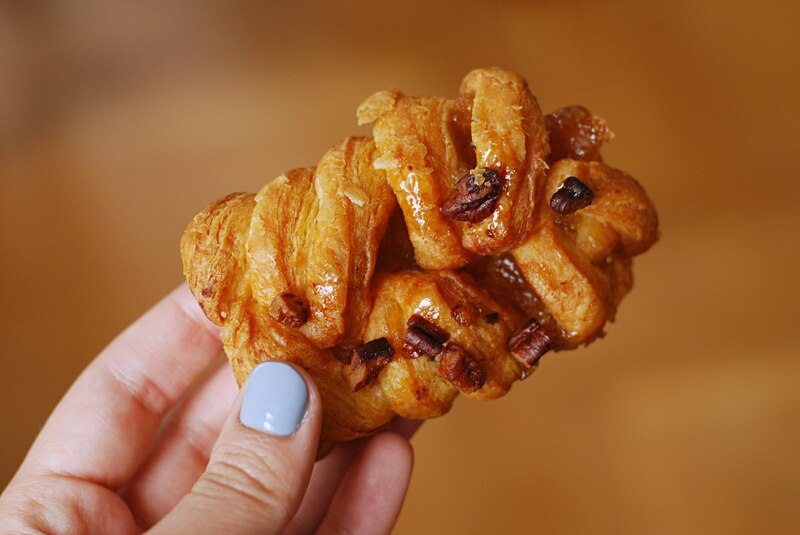 Scandinavia is well known for its pastries, and Icelandic bakers have borrowed a lot from their Danish cousins. I recommend trying kleinur, which are kind of like twisted donuts, and vínarbrauð, which are usually filled with custard/marzipan and topped with a bit of icing. 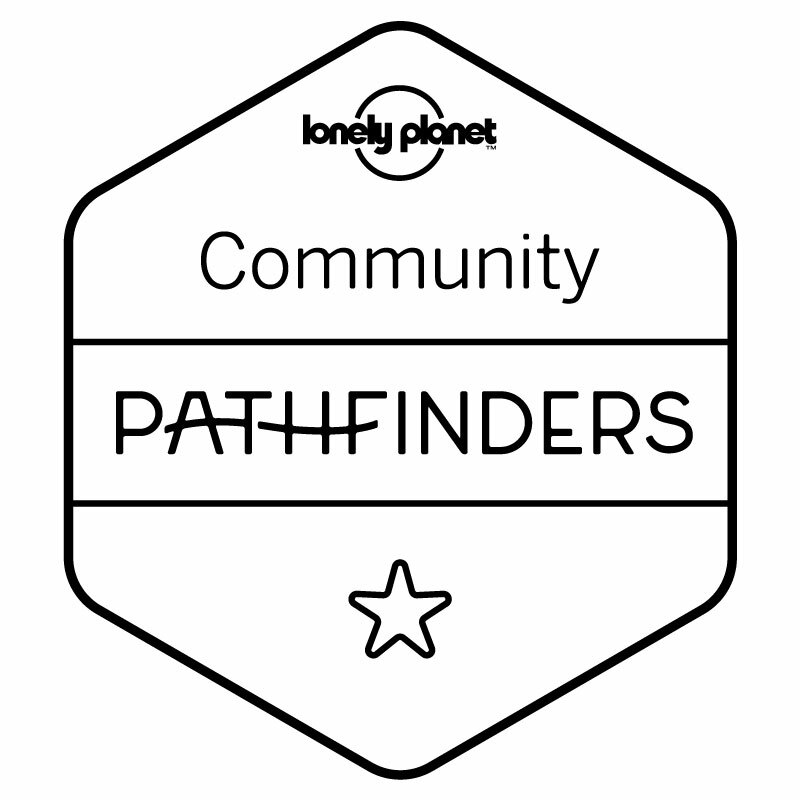 Where to find them: Bakari Sandholt is a good bakery in Reykjavik, but most supermarkets also have their own decent bakeries. 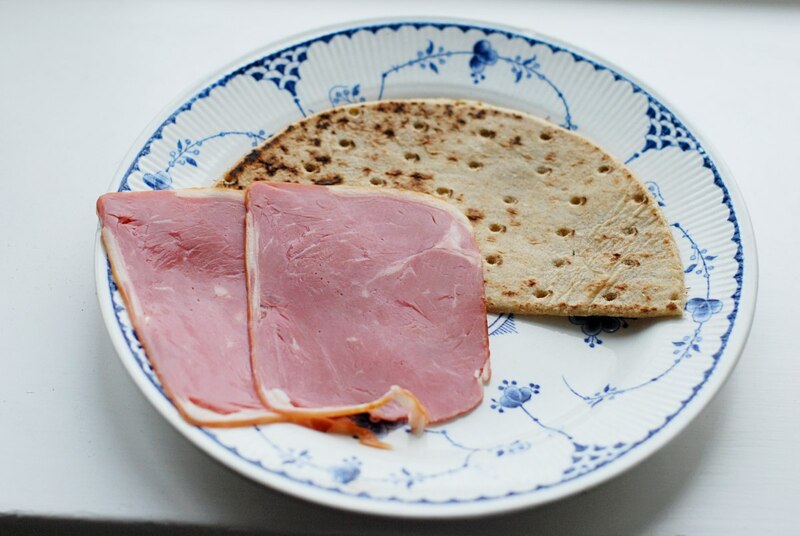 Another type of traditional bread you should try is flatbrauð, which is also rye bread but is flat and moon shaped. It’s lovely warm with a bit of butter and some cheese or salmon. A great topping you should try is hangikjöt, or smoked lamb. Hangikjöt is a favourite at Christmas with potatoes, peas, and a white sauce, but you can also buy slices from the supermarket for a delicious sandwich filling. Actually, all Icelandic lamb is delicious so have some roast lamb as well if you can! Where to have it: in Reykjavik try Cafe Loki, Kaffivagninn or Laekjarbrekka, or get some from a supermarket if you’re doing a road trip. For roast lamb, try Einar Ben or Grillmarkaðinn. Icelanders are very proud of their dairy. They will tell you that they have the best butter, milk, and cream in the world – and I have to agree with them! Honestly, Icelandic butter is out of this world. 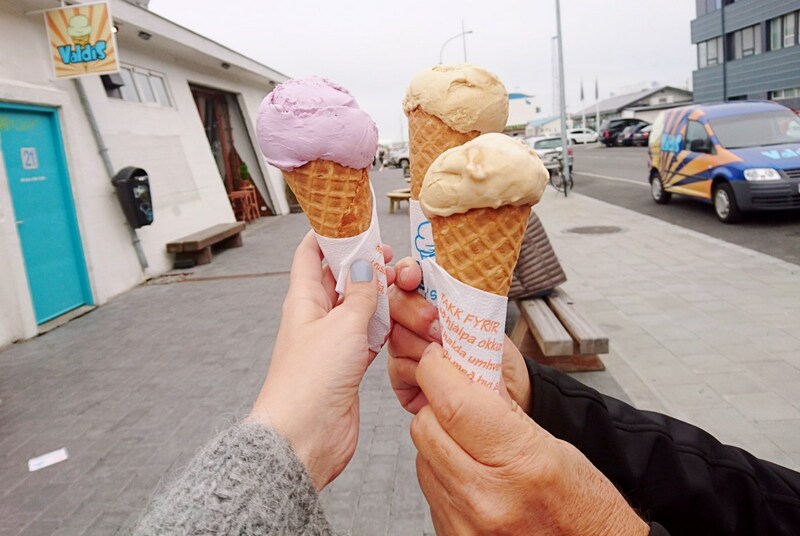 As a result of having fantastic cream, Iceland also boasts amazing ice cream (ís). The country also has its very own type of yogurt that has recently become available in the UK: Skyr is a thick, low fat, and high protein yogurt. Where to try it: try the ice cream from Valdis or Eldur & Is. I recommend getting a scoop of blueberry skyr, but if you’re more adventurous you should try ‘salmiakki’ flavour (sort of liquorice). So this might sound obvious, but you really should try some fish while you’re in Iceland. Being surrounded by oceans (and salmon fishing rivers) does make many people fish experts! Top ones to try include smoked salmon, marinated salmon (graflax), fishballs (fiskibollur), and salted cod. For a healthy (and smelly) snack, I recommend getting a packet of dried fish (harðfiskur) – it sounds weird but you might just love it! Where to eat it: Kaffivagninn or Laekjarbrekka, and most other restaurants around the country! 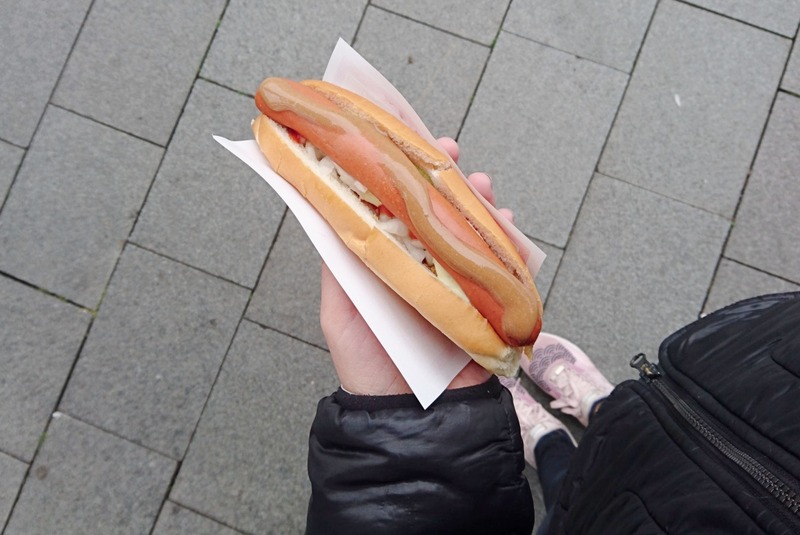 Hot dogs are an important part of the modern Icelandic diet! They are sold at almost every petrol station in the country and in many places in Reykjavik. Icelandic sausages are supposedly made with some lamb, which is what makes their taste a little different. I recommend asking for your pylsur “with everything” (með öllu), meaning with ketchup, mustard, remoulade (remúlaði – a mayonnaise based sauce), diced raw onions, and crunchy fried onions. Where to eat them: the most famous place is Bæjarins Beztu Pylsur but the hot dogs you get at petrol station restaurants and tourist sites are often great too. If an Icelandic family invite you to come over for an afternoon coffee, there is a 60% chance that they will have freshly made pönnukökur ready for you. Traditionally, these are served with sugar or with whipped cream and blueberry jam. 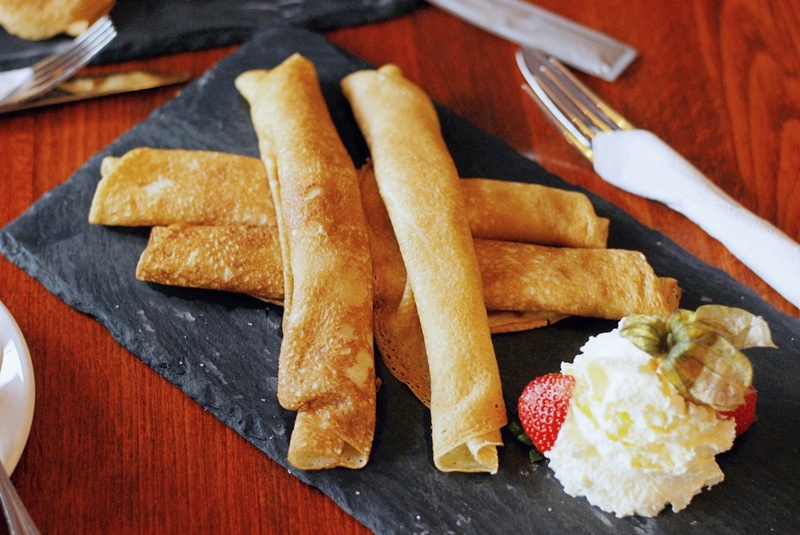 Although pönnukökur look similar to French crepes, I would argue that they are different (and better!). Where to have them: Cafe de Paris, C is for Cookie, or any Icelandic grandmother’s kitchen! Although Icelandic food can sometimes seem like an overload of potato and fish, it can actually be pretty exciting if you know what to look for. Food is a big part of any trip for me and I’m always very eager to eat local foods on my travels, from pastry in Finland to sweets in Japan. I could spend hours exploring foreign supermarkets! I hope that this guide will get you excited about eating your way through Iceland. What’s the first thing you want to eat when you go to Iceland? Will it be cake or dried fish?